Adam Stoddard has broad experience representing clients in acquisitions, development, dispositions, leasing and financing across the commercial real estate sector, including subdivision development, multifamily properties, retail centers, hotels, resorts, and industrial properties. Adam's practice includes a range of commercial lending and financing transactions, representing real estate owners, developers, private lenders, and commercial banks in the real estate market throughout the United States. 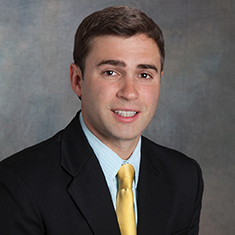 While attending law school, Adam served on the Wake Forest Law Review and the American Bar Association National Appellate Advocacy Moot Court Team. Shown below is a selection of Adam’s engagements.